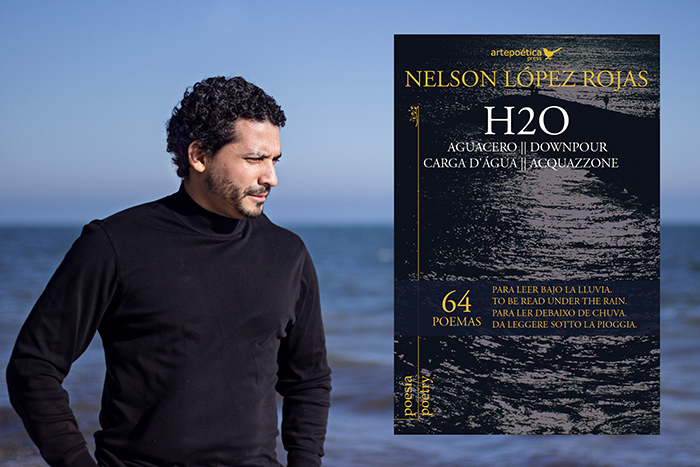 H2O: Aguacero – Downpour – Carga d’água – Acquazzone, is a multilingual edition (Spanish, English, Portuguese, and Italian) of 64 poems authored by Nelson López Rojas, and translated by Ester Filantropia, Jason Meyler, and Raquel Amorese. It “represents the inclusiveness of contemporary poetry” and is a collection of poems “to be read under the rain dialoguing with a multicultural universe where water is both a metaphor and the materialization of life,” as the description states on Amazon. Nelson is a LACUSL Affiliate and has taught one of the two core introductory LACUSL courses, LACS 101: Introduction to Latin American and Caribbean Studies since 2012. Find Nelson’s book on Amazon here. You can also find a review of Nelson’s book titled, “Lo furtivo de la memoria en Aguacero de Nelson López Rojas” written in Spanish and published in the Cultura section of Contrapunto.com. ¡Felicidades Nelson!